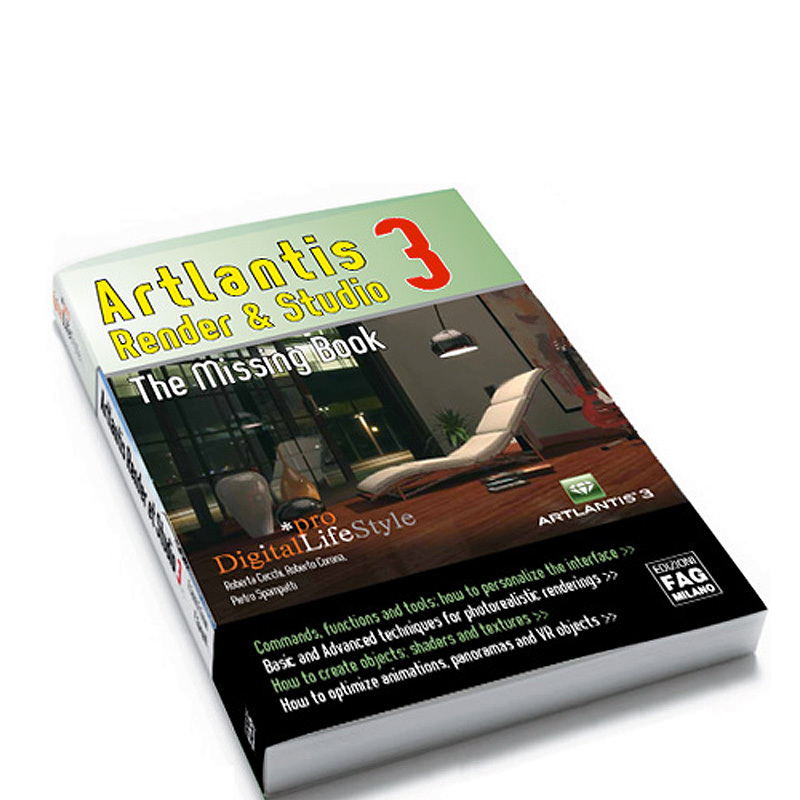 After the Italian version of our book "Artlantis Render e Studio 3 - Guida all'uso" (that you can buy in all Italian bookshops) and the French version (available directly from Abvent) it is now available in English too: "Artlantis Render and Studio 3 - The missing book". This is a new version of the popular book, released two years ago, champion of sales on the ObjectOnline web store. The book is divided into two parts: the first one (about 140 pages) devoted to the user guide and the second (about 100 pages) devoted to tutorials and tips&tricks, to greatly improve your renderings. This new edition, in PDF format, can be purchased directly on this store. Is possible to display it on the video or to print it. Click here for a sample preview of the book. After purchasing it, using a PayPal account, you will receive an email with the download link for your personalized copy of the book.